The first step in the process of conditioning is heat treatment of the meal by the addition of steam in a steam mixer. Steam treatment is necessary to optimize the pelleting process in power consumption and pellet quality. By injecting dry steam (moisture and temperature), starch gelatinization is induced within a short period of time. Upon heating in the presence of (abundant) water, starch granules swell and burst and their semi-crystalline structure is lost. This process is called gelatinization.After gelatinization the starch has become amorphous and becomes viscous. This has an impact on binding and deformability properties of the starch / feed mash mixture and ultimately contributes to obtaining an increased pellet hardness and durability. When the meal is pelleted and the pellets are cooled and dry, the semi-crystalline structure is partially adopted again and “glues” the pellet. Long term conditioning can be realised by placing a long term vessel (LTV) after the steam mixer. 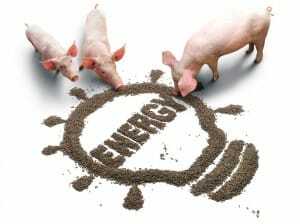 It significantly improves the process of feed conditioning which results in an optimized nutritional quality of the feed. Better digestibility, and therefore better growth and health of animals. The Long Term Vessel (LTV) and Long Term Conditioner (LTC) are hygienizers. This means that it will destroy pathogenic germs such as salmonella bacteria. 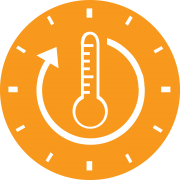 This process takes place when the temperature of the meal is higher than 85°C and a retention time lasts 4 minutes or longer. 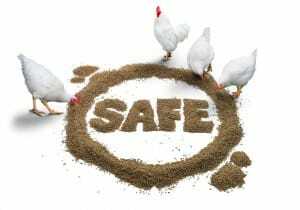 Especially important for poultry (layer) and piglet feed. Eggshells can be a contaminating source of salmonella. Due to the gelatinization and moisture the meal/pellet is slightly lubricated and softened which makes it better compactable. Due to a longer retention time in the LTV or LTC, higher moisture levels are possible and therefore more steam can be injected; higher temperature results in reduced electric energy requirement of the pellet mill.